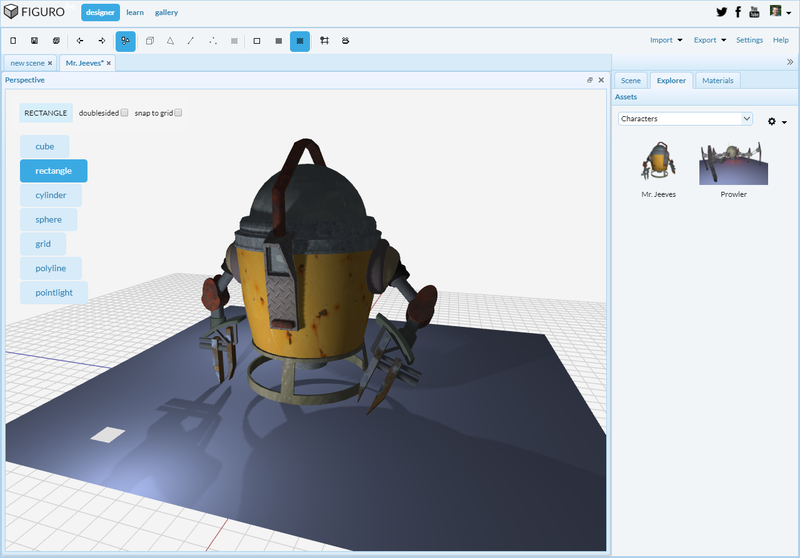 Figuro 3D Designer is a free, online 3D modeling app for everyone. It can be used for game development, 3d printing, architecture and so on. Completely online. No installation required. Works anywhere. Polygonal modeling with a whole bunch of 3D editing tools. Booleans. UV editing. Subdivision modeling. 3D gallery to show off your models. Video tutorials to get you up and running. Use Figuro if you're looking	for powerful 3D tools wrapped in a friendly user-interface. It is easier to use than most other 3D software. Above all, it's fun and free! Figuro is LIVE and we're working hard on various enhancements. Updates are released almost every week. If you have ideas for improvements, we'd love to hear about them!